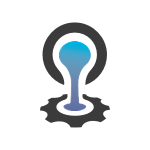 We've been building with Cloud Foundry since its inception and we offer Cloud Foundry Certified Developer Training as well as bespoke, tailored courses in all aspects of Cloud Foundry operations and development. We will create a tailored syllabus for your team, taking into consideration requirements, scope, duration, as well as existing knowledge of the participants. You can bring as many people as you want, but for best effect, we recommend 1 instructor per 10 participants. Our training can be held at any desired location, our instructors will gladly travel to you. We will gladly send the training material to all participants after the training. We will also provide you with certificates for each of our bespoke courses. Get prepared for your Cloud Foundry Certified Developer exam with our training. Learn practical Ruby, the language in which a lot of modern applications (including Cloud Foundry) are written.